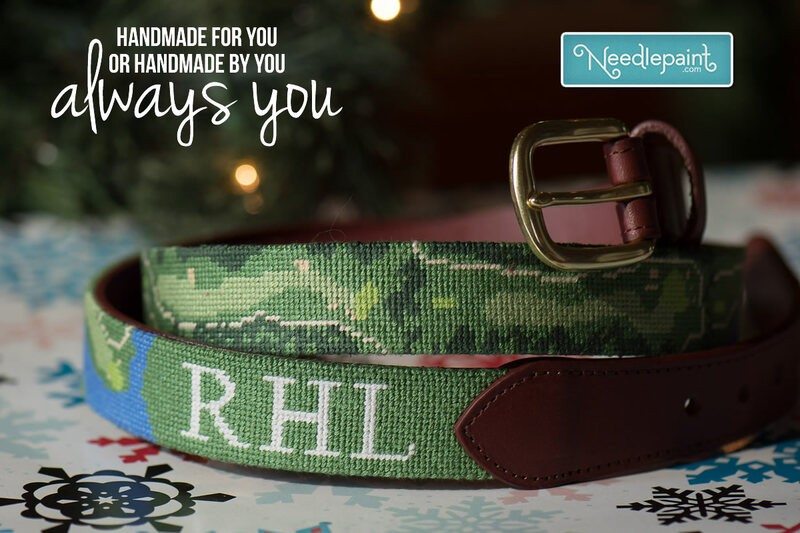 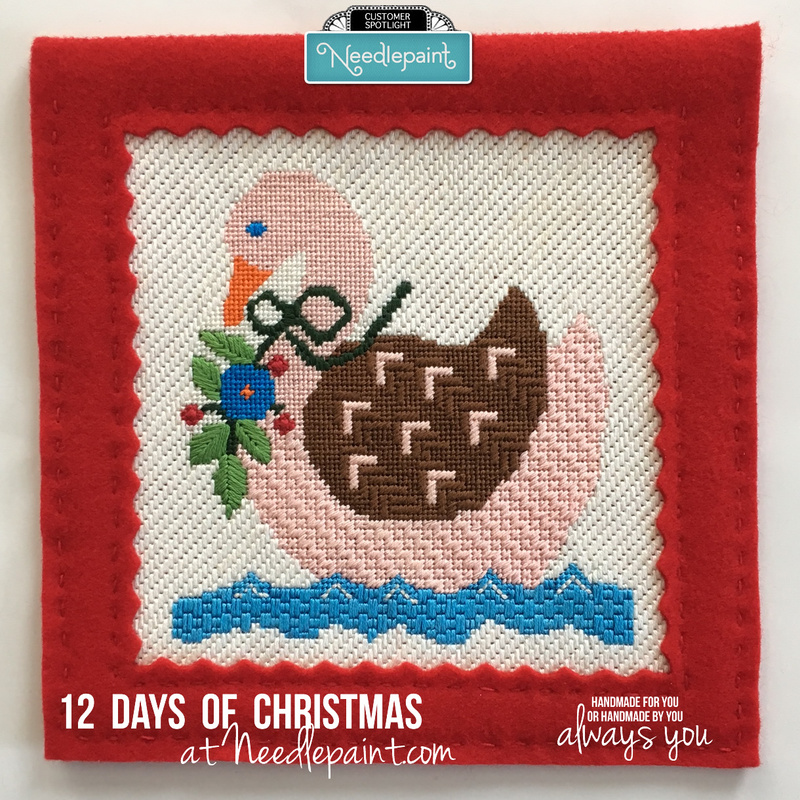 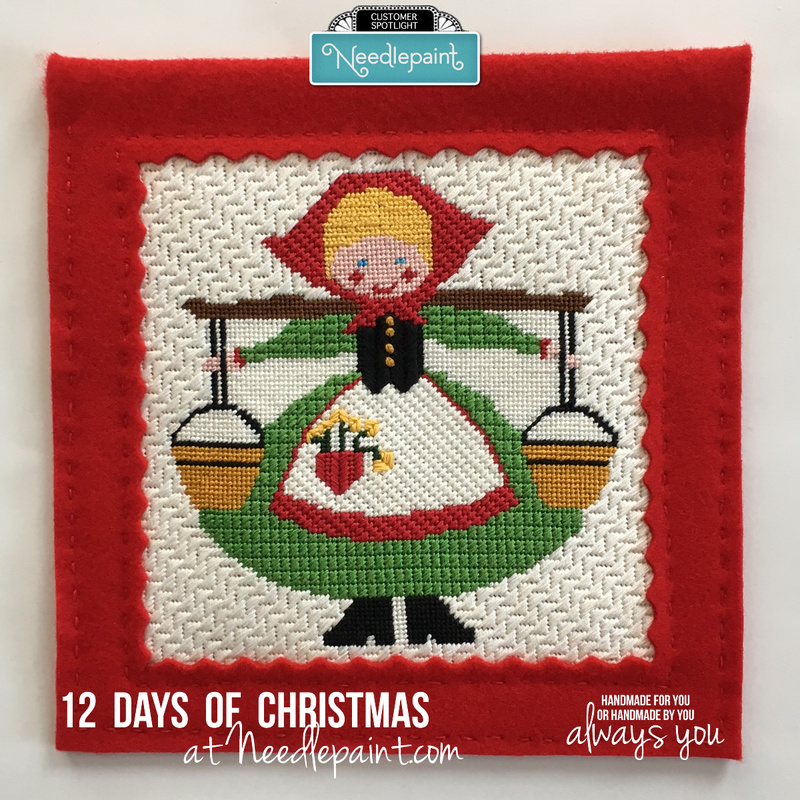 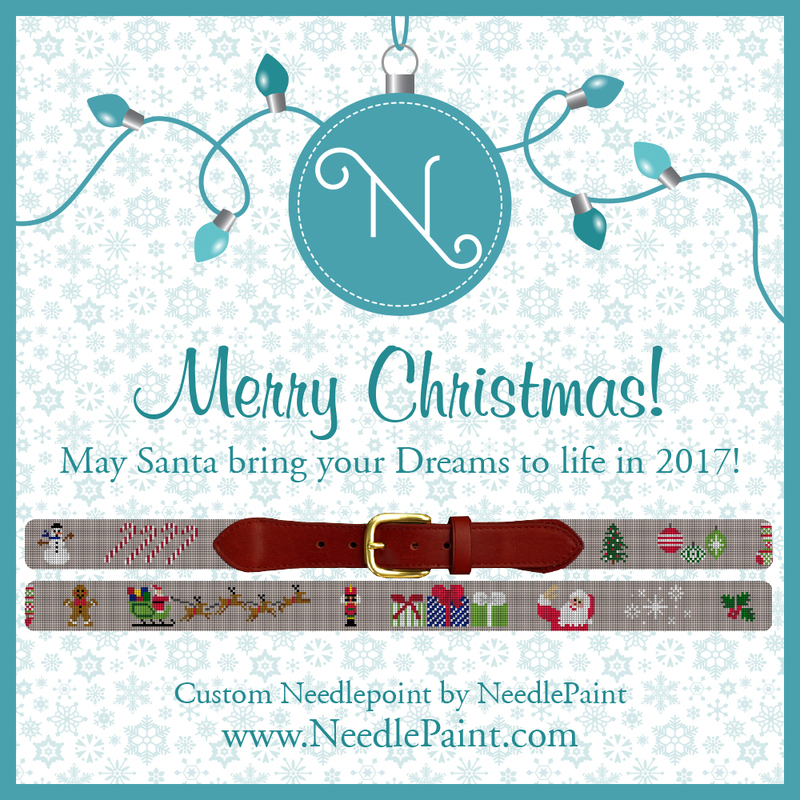 Friday Favorites – Christmas Needlepoint Ideas – Custom Dogs – and Cute Kids Projects! 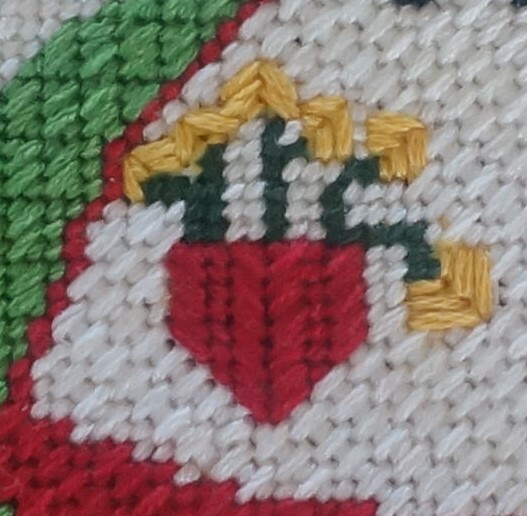 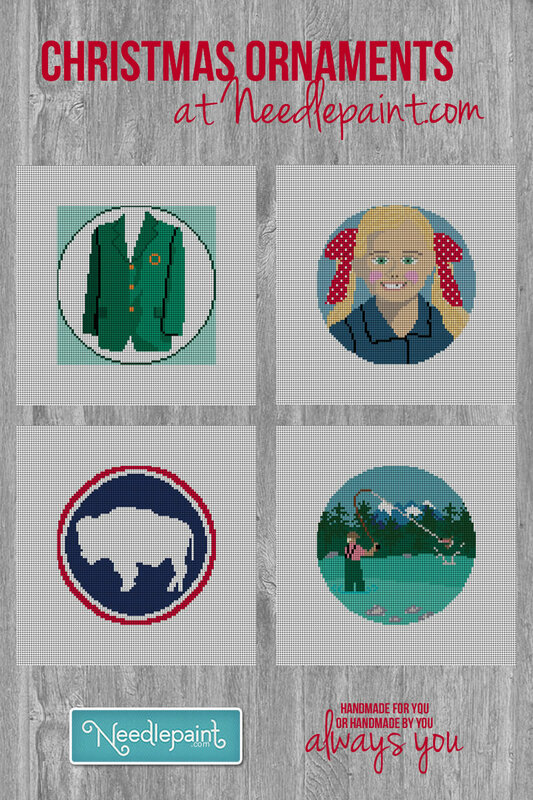 Labor day is here, and while it is sad to see summer coming to a close, we’re feeling very blessed and happy to help design more great new needlepoint projects. 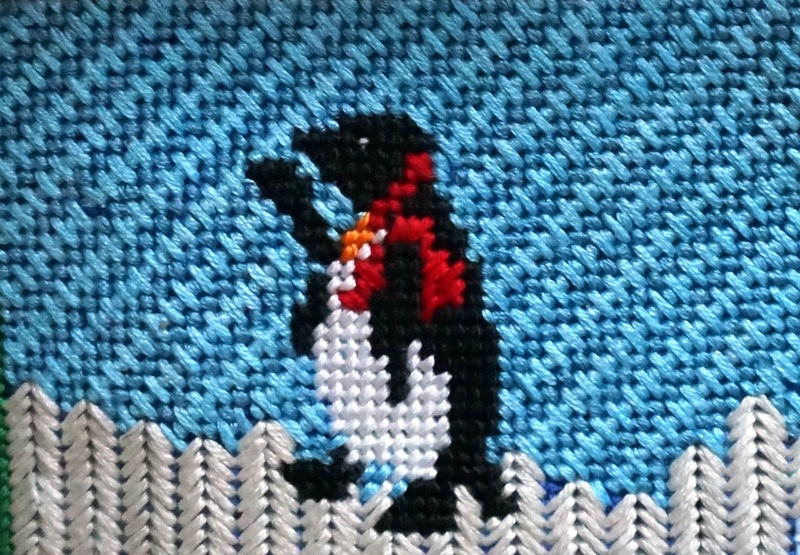 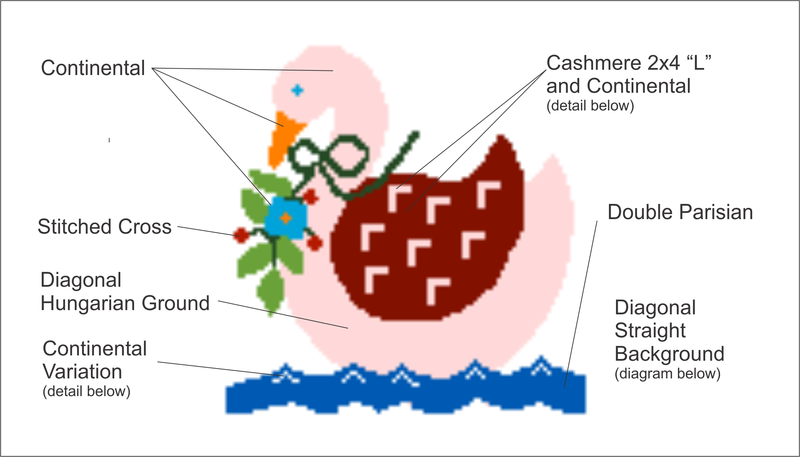 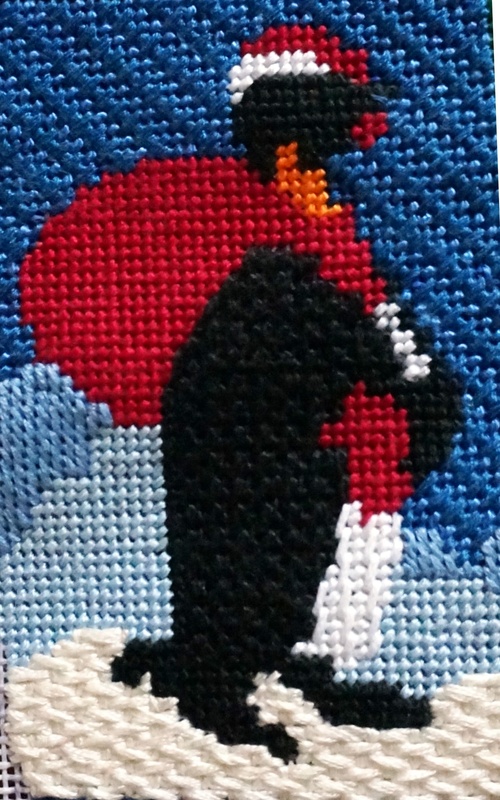 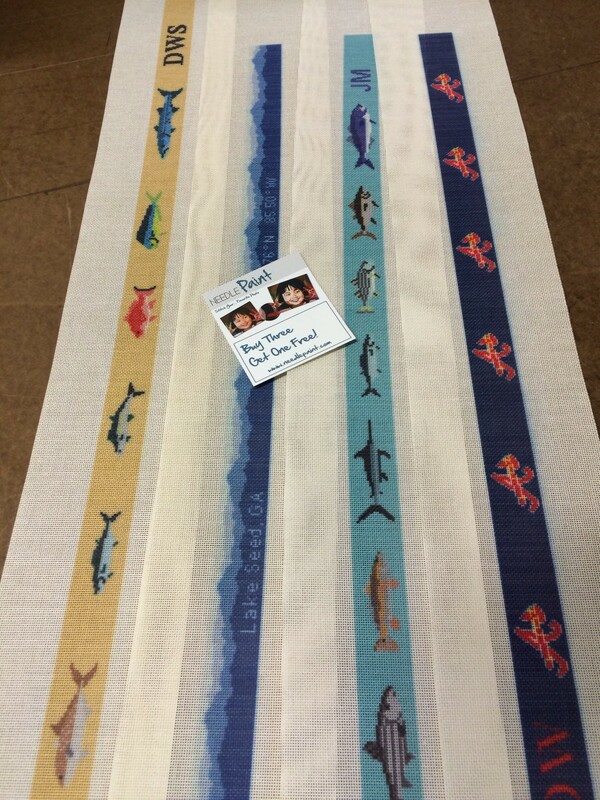 Before we get to the Christmas ideas, I want you to see the new fish we designed for needlepoint belts this week. 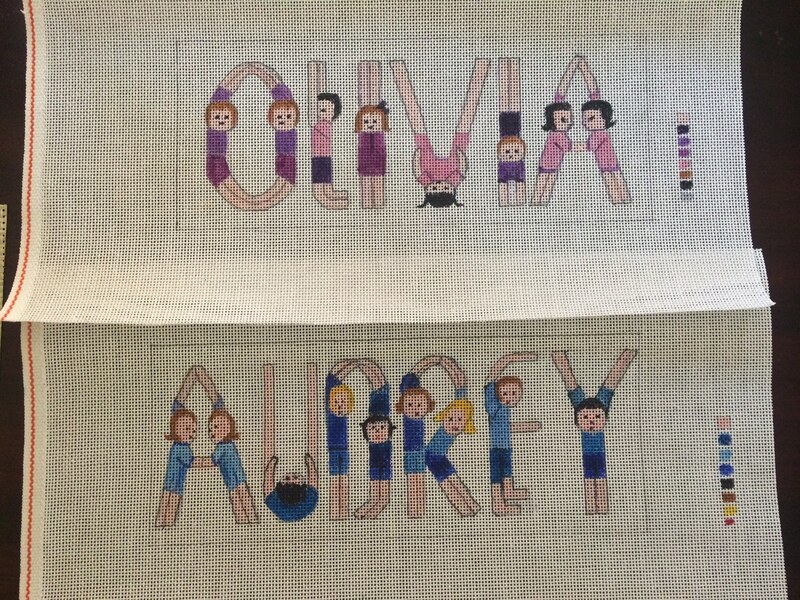 They are amazing! 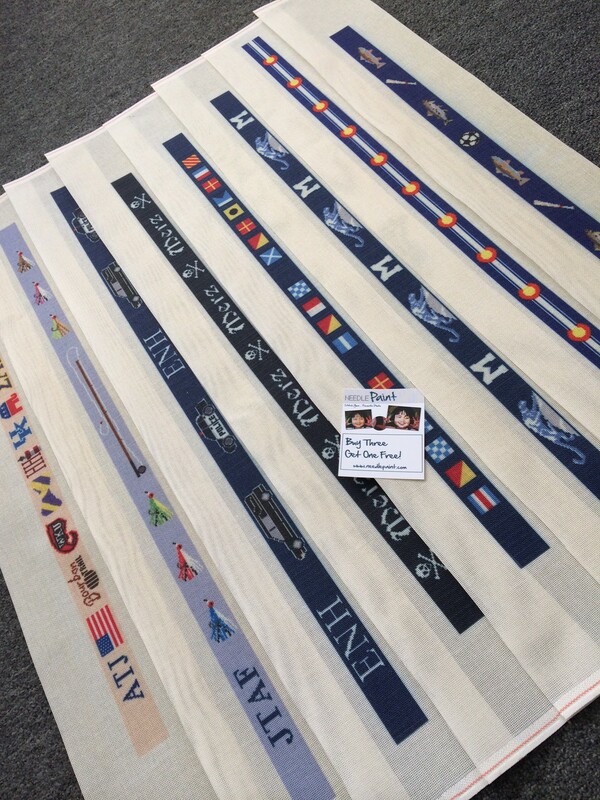 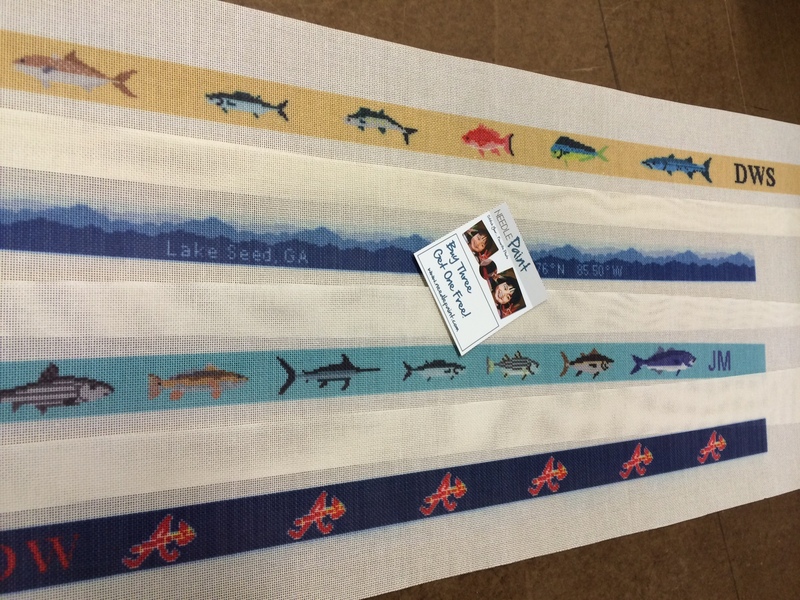 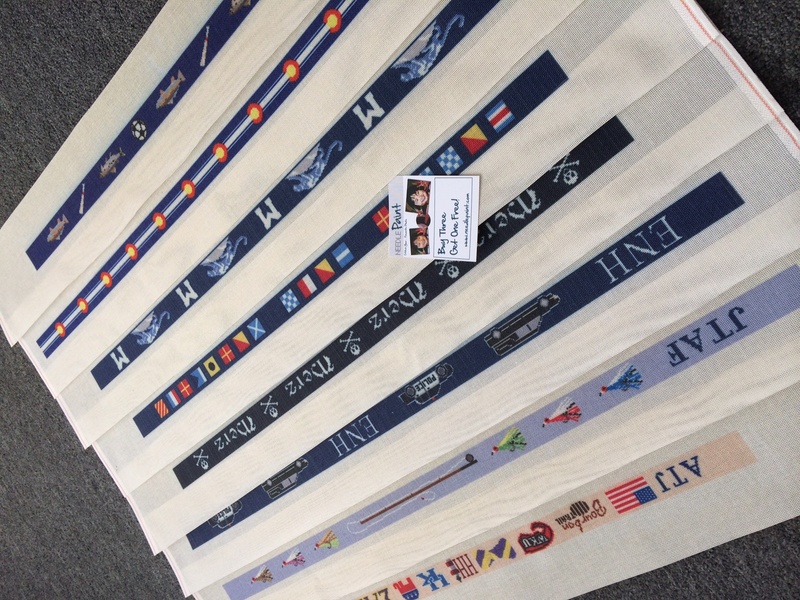 If you love to fish, let us know your favorites and we can do a custom needlepoint belt design for you! 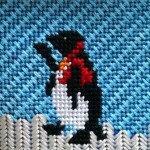 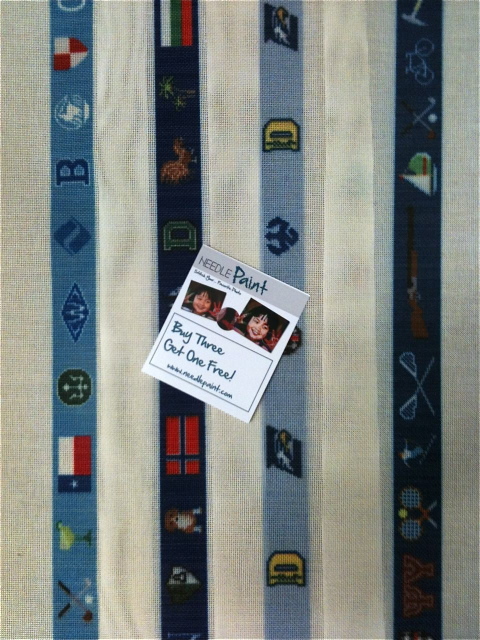 Available as DYI needlepoint kit or as a fully stitched needlepoint belt. 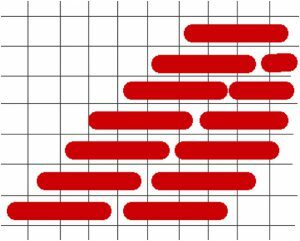 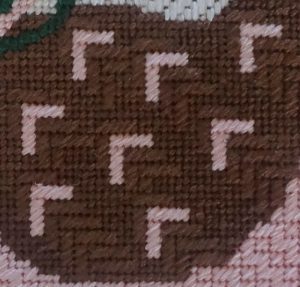 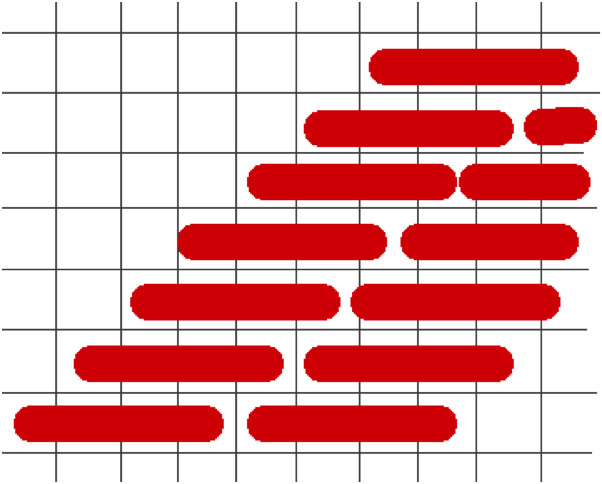 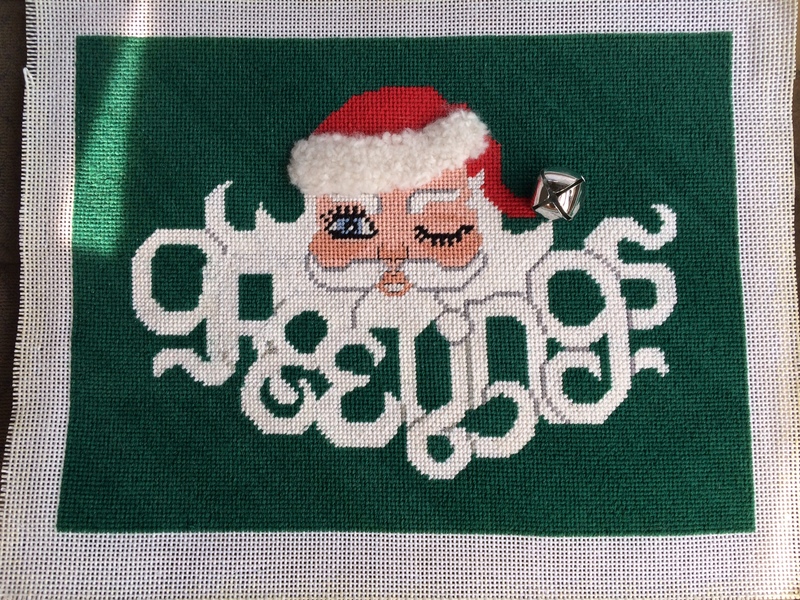 Onto the Christmas Needlepoint ideas. 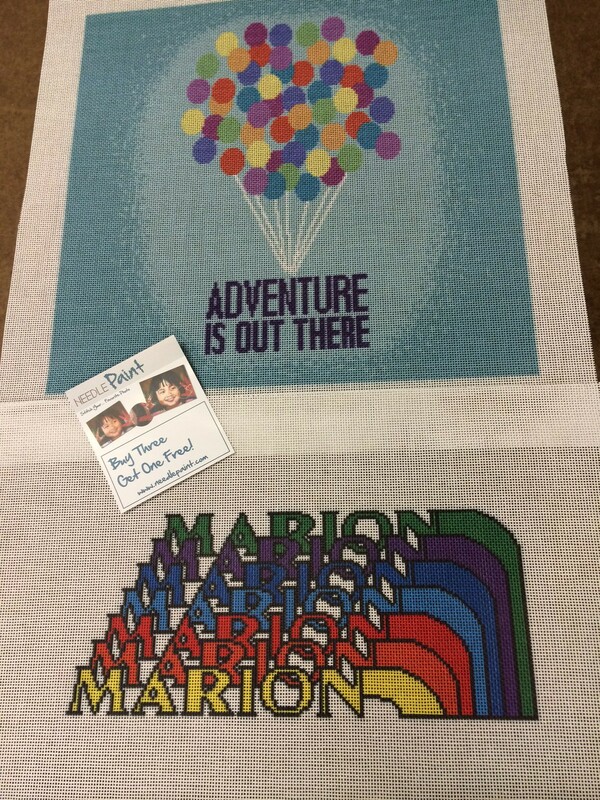 Below are some fun kids projects we did, we can personalize the rainbow to any name! 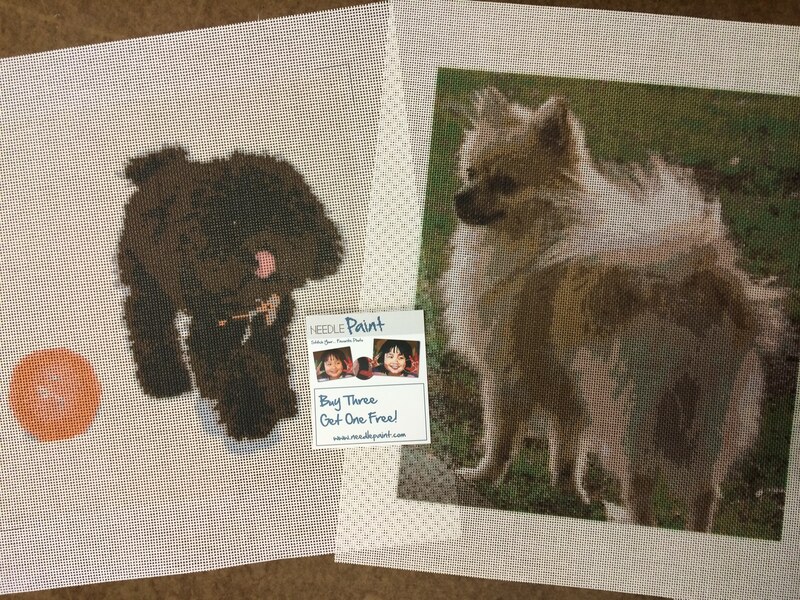 The Pomeranian needlepoint canvas is available in shop, click the following link to see more needlepoint dogs! 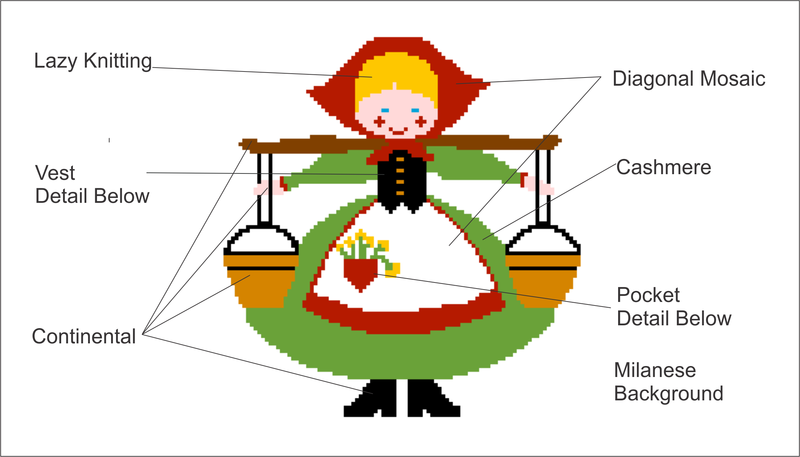 I’ve mentioned her before, but it is aways good to remind our readers. 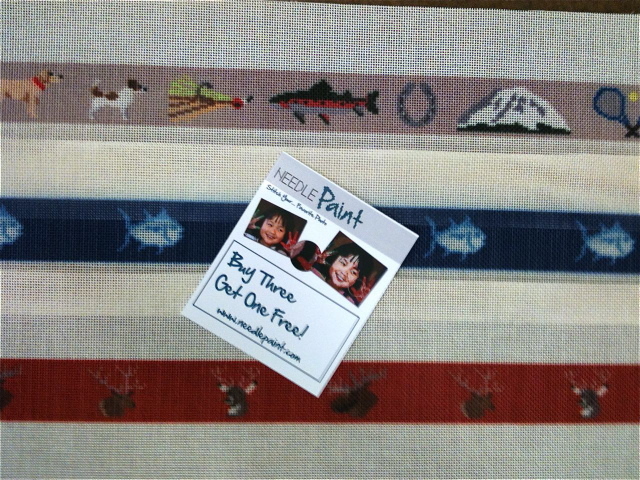 We have a great painter in the Denver area that will do custom projects for us. 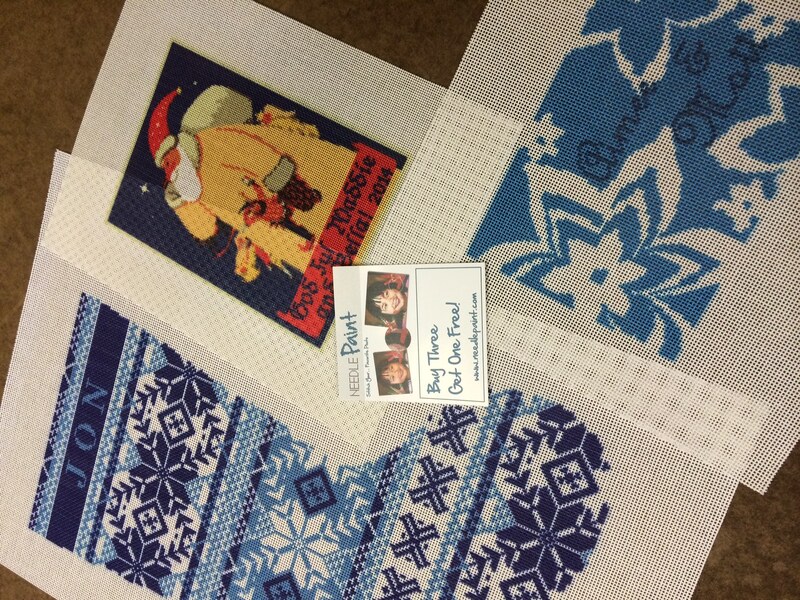 While chatting, she also had two projects she had finished for women in her stitching group which I love! 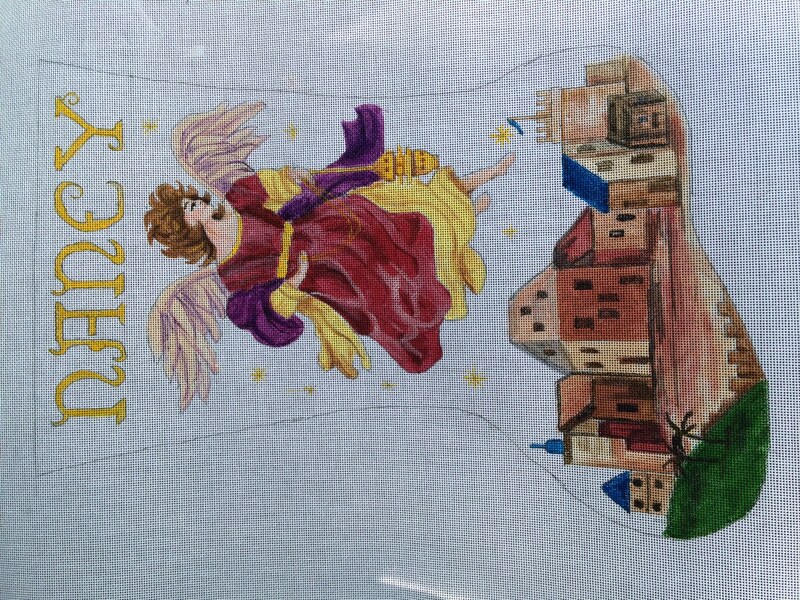 The angel stocking really came out amazing. 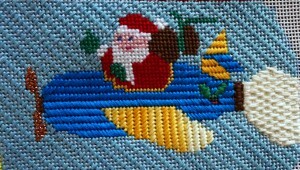 The santa greetings is just fun, she even had the needlepoint that she stitched years ago with her! Next, is a picture of a the green mountain needlepoint belt that one of our customers just finished (and we just designed a new canvas for). 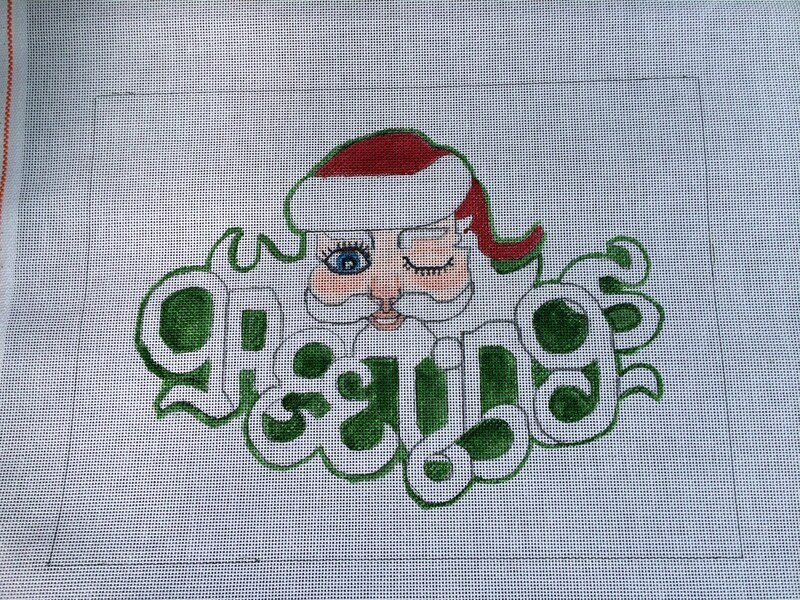 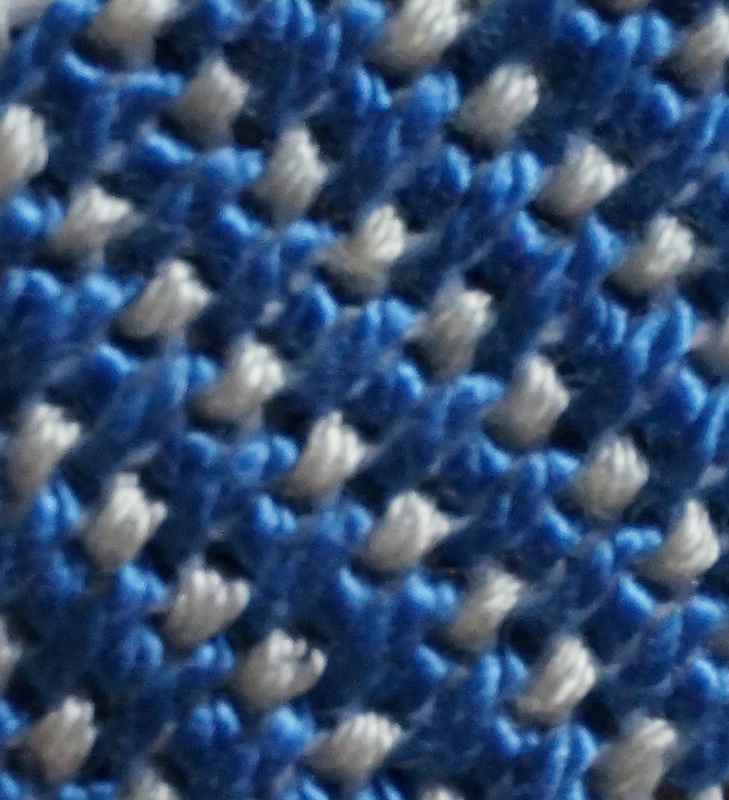 Great stitching Kaity! 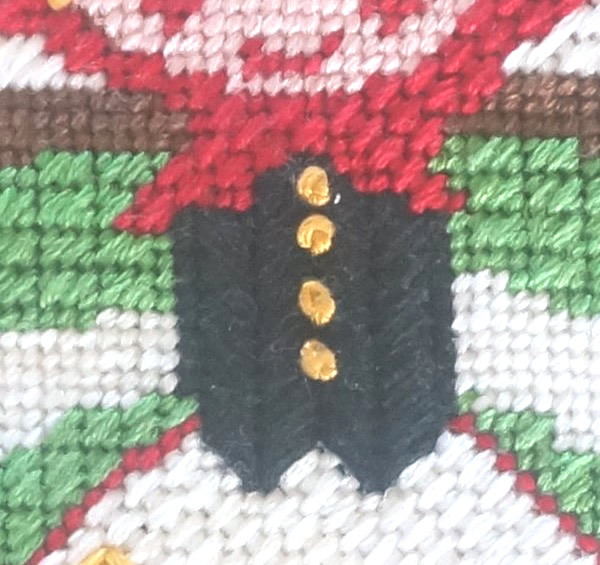 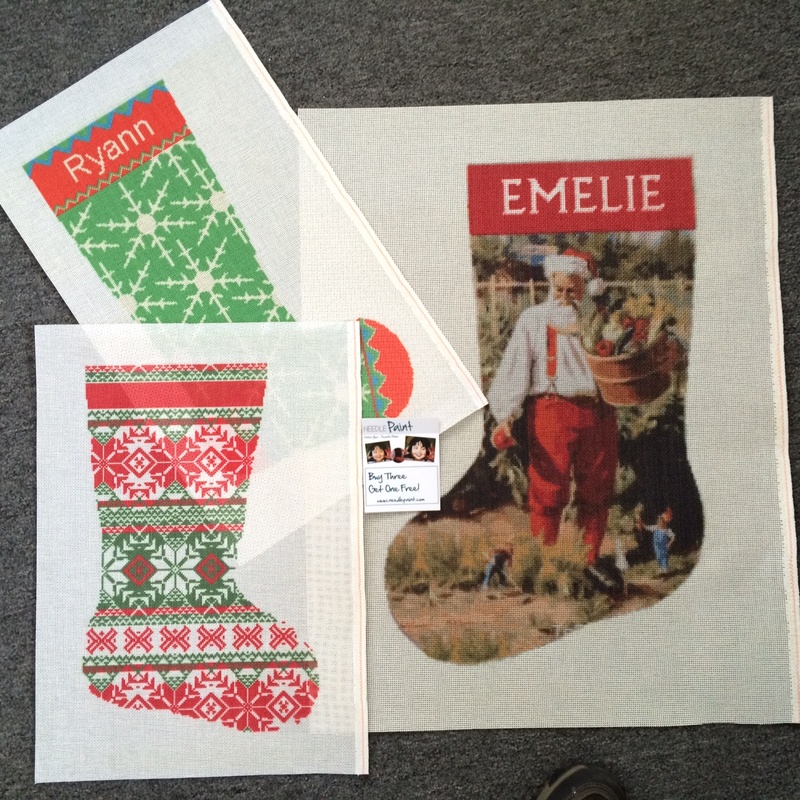 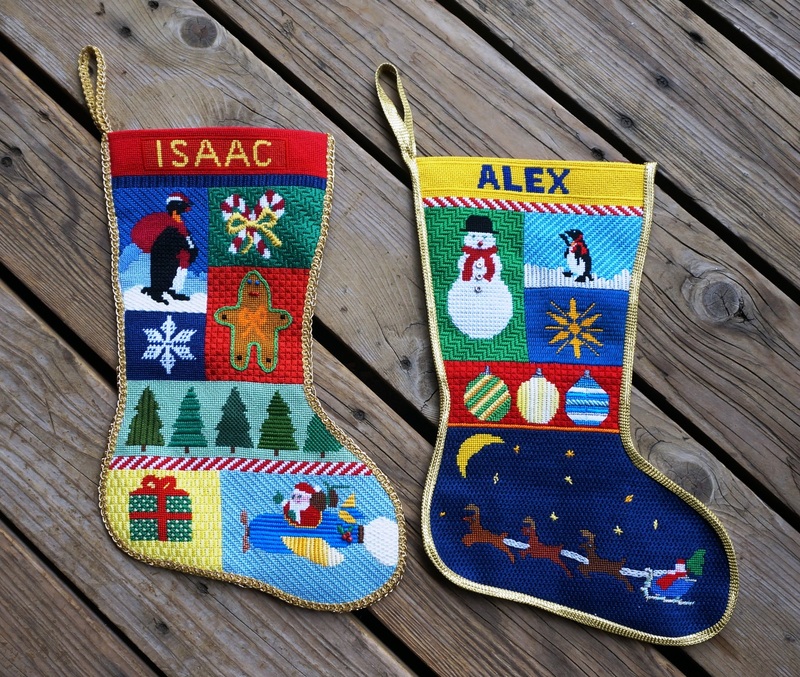 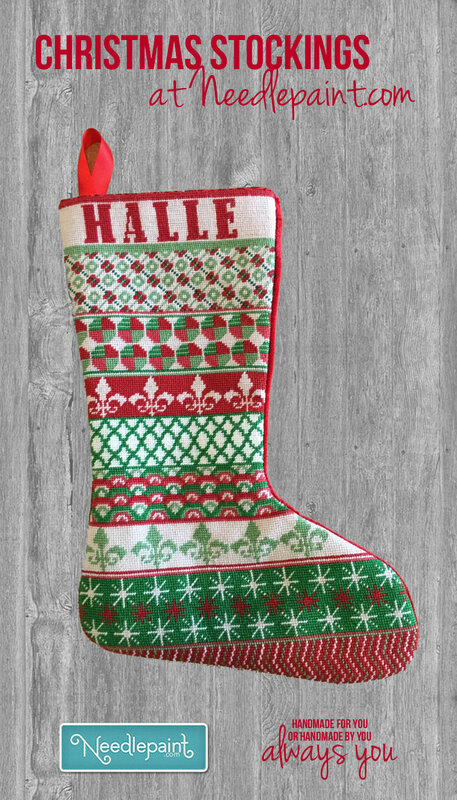 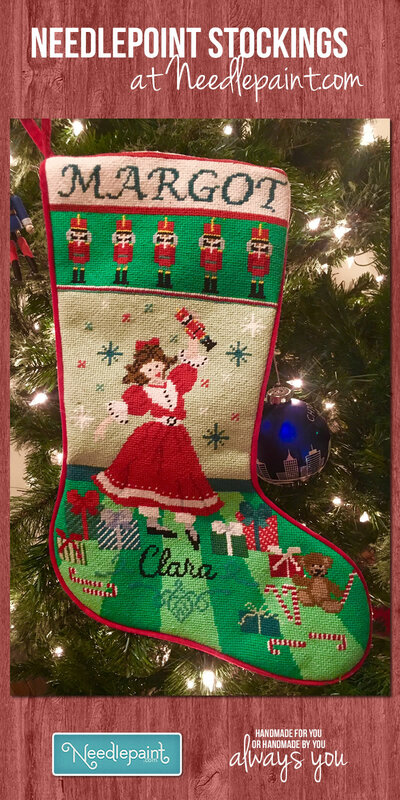 Another fun project we worked on is a custom needlepoint christmas stocking. 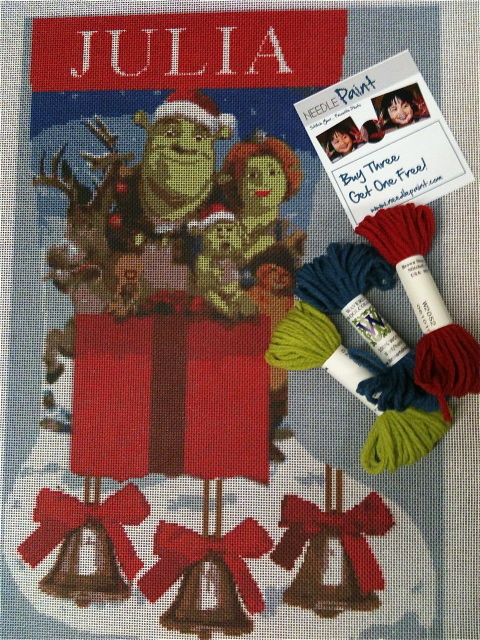 The stitcher wanted to feature Shrek in the design as the recipient is a big fan. 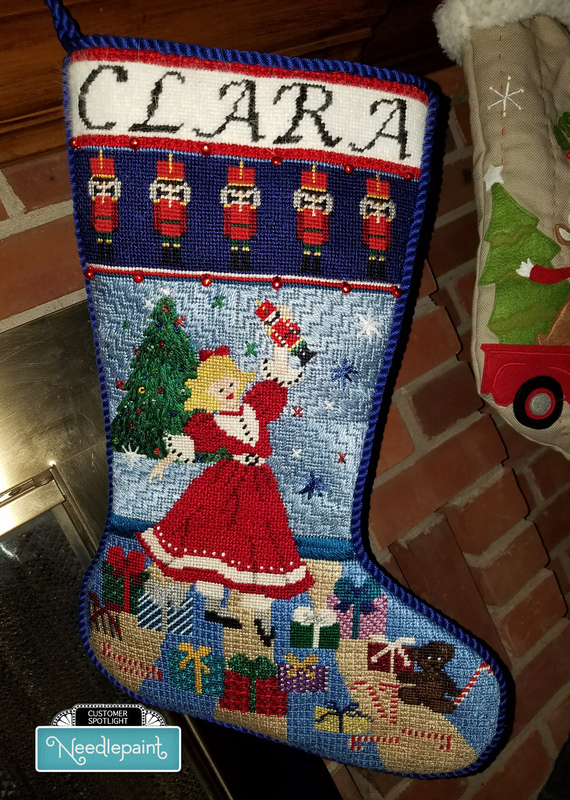 I think it came out amazing! 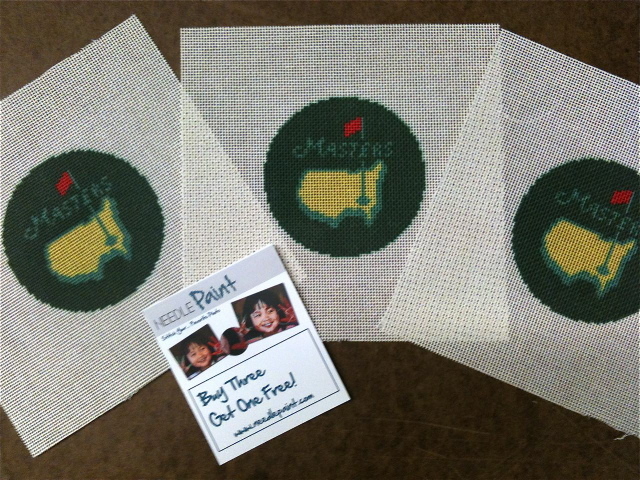 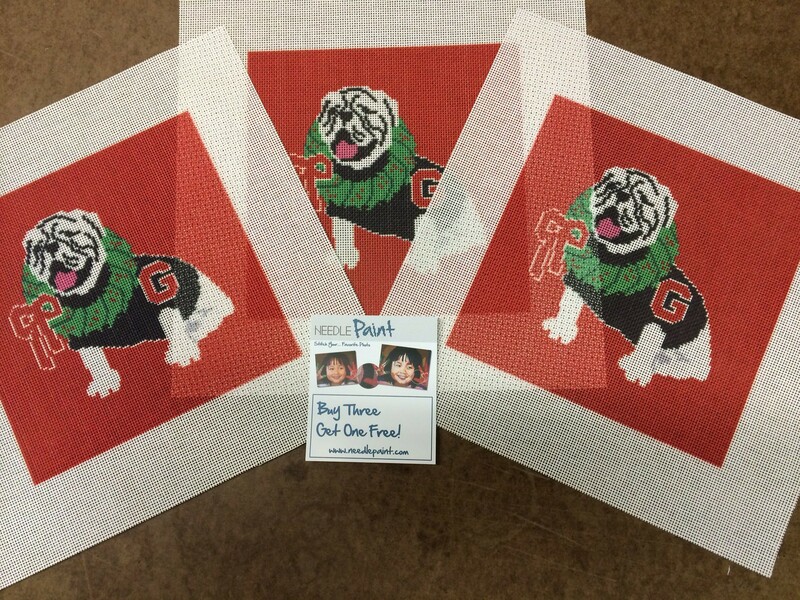 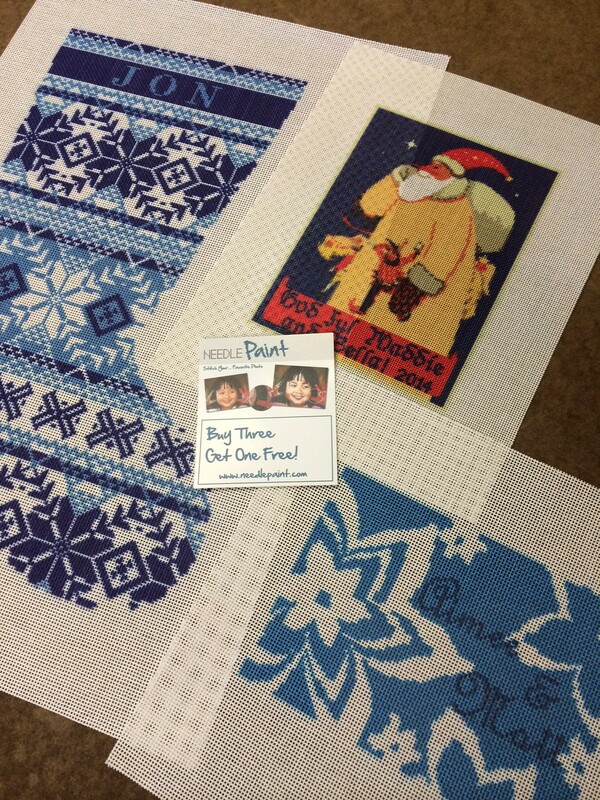 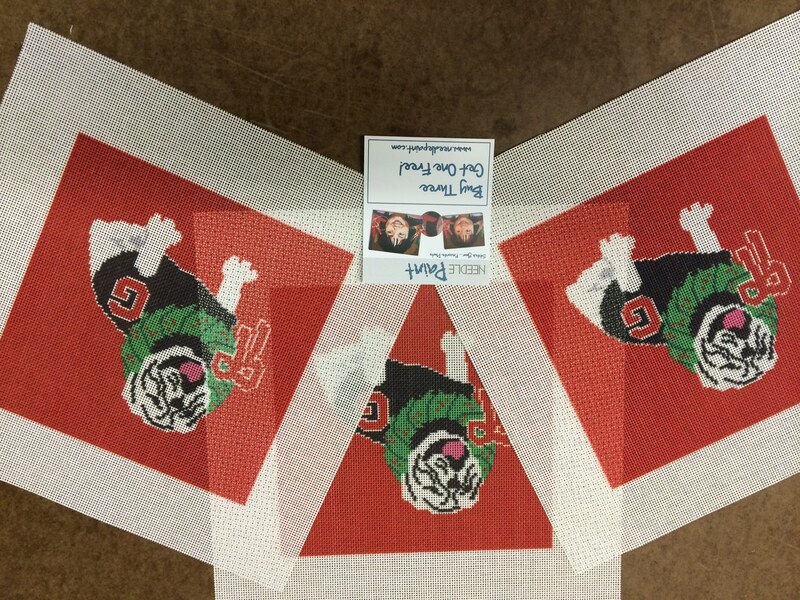 Moving onto a fun quick project, here are some custom needlepoint coasters we designed that took advantage of our buy three get a fourth free rewards program. 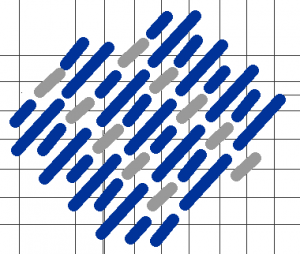 Sharp, huh? 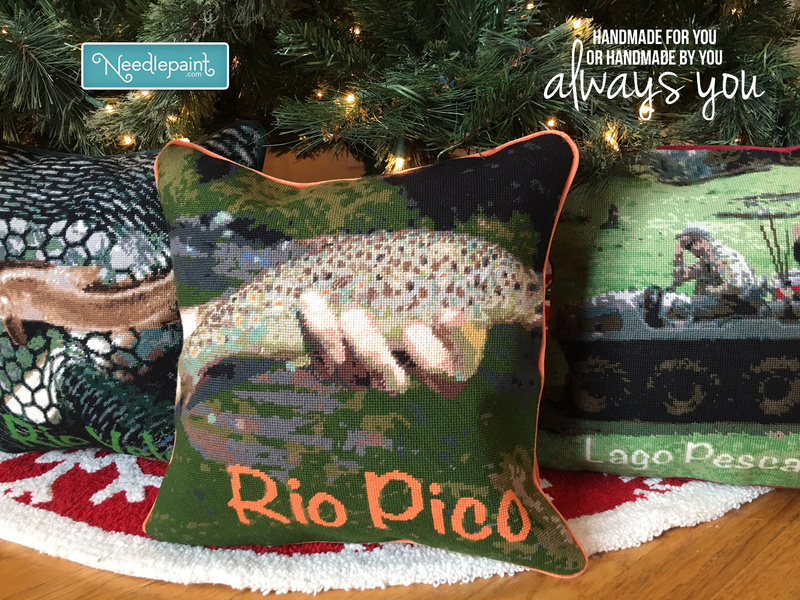 OK, so I did not get this weeks orders ready until Saturday and am posting on Monday, but Friday Favorites just sounds better! 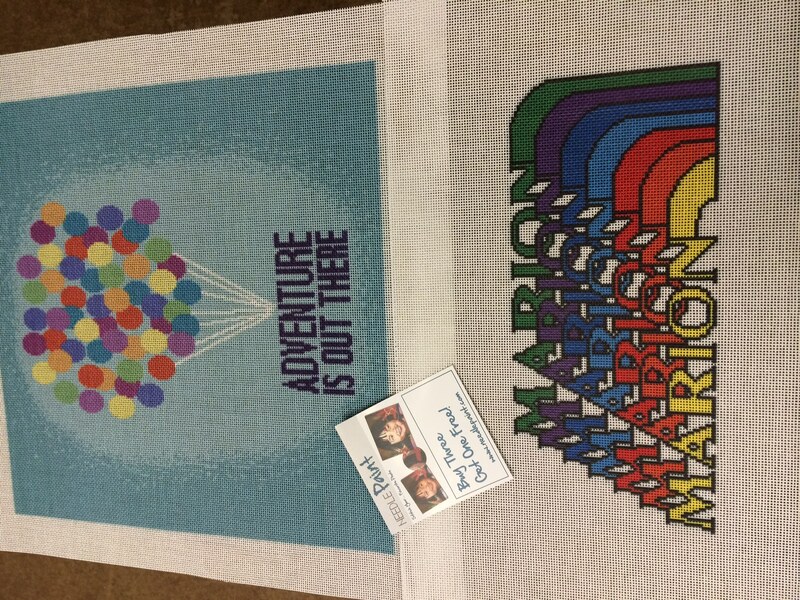 Anyway, these are some of my favorite canvases we made last week! 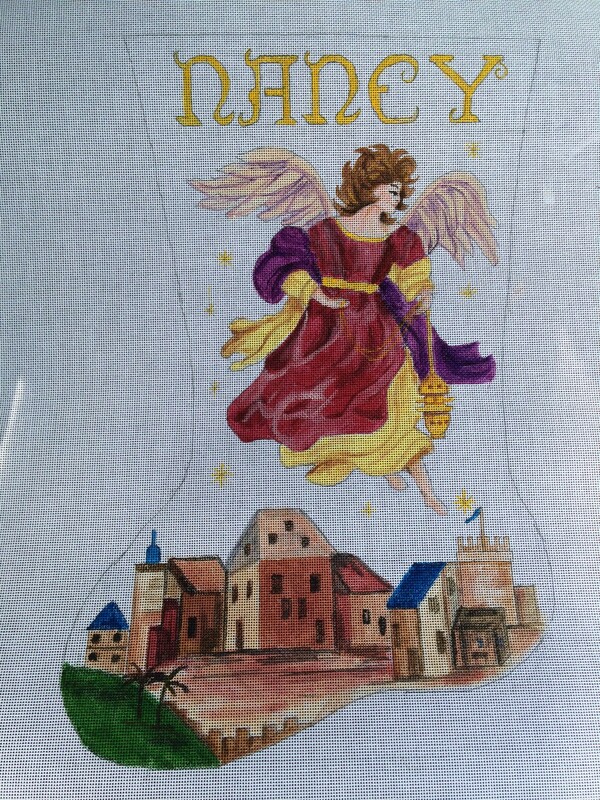 One of the stockings below is a custom design, the others are the Winterthur Stocking and the Fair Ilse.